Use: Be widely used in Arduino Electronic DIY, such as: electronic circuit, electrical appliances, instrumentation ,PCB circuit board etc. electronic project. 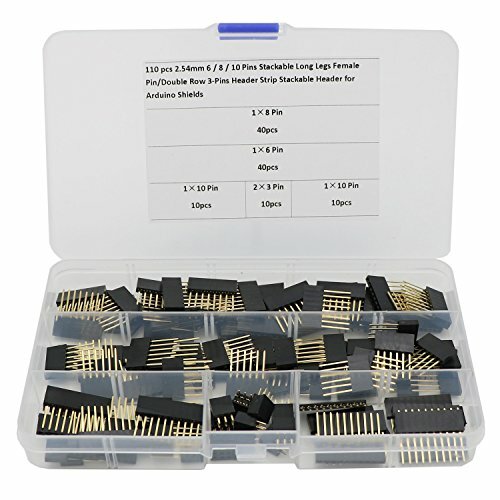 Total: 110 pcs Arduino Stackable Headers,Packaged in a neat plastic case with individed compartment. They are the perfect height for clearing the USB-B connector and great for stacking multiple shields.